Consumers across the U.S. look forward to Halloween every year as a time to relax and have fun with family and friends. However, criminals also look at the holiday as an opportunity to take advantage of unsuspecting residents and empty homes. 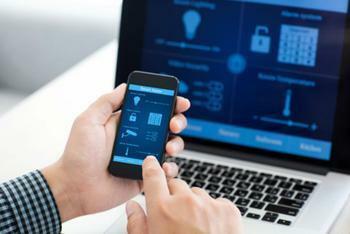 That’s why Shannon Murphy, vice president of sales and marketing for the Electronic Security Association (ESA), says the holiday is a perfect time to take advantage of smart home security features. By using security cameras, automatic lighting controls, and other smart security features, consumers can help ensure the safety of their home while they’re away or the identity of anyone who comes knocking. “There was a time when your only way to get a glance at the ghouls and goblins at your door was to look out a small peephole. With an integrated smart home security system, you can simply use your smart phone to identify friend or foe,” said Murphy. To help consumers take full advantage of their smart home security systems, Murphy offers the following tips for the coming holiday. Monitor the security camera mounted at your front entrance. Not only can it be used to identify trick or treaters before you open the door, it can be used to monitor activity via your smart phone while you are out enjoying the evening with your family and friends. If you plan to stage a spooky Halloween experience by stationing a family member or friend outdoors to hand out treats – position them in a place that can be easily monitored by a security camera. Adjust security camera settings to angle at least one camera toward your driveway or the street entrance to your home. This can help detect and even identify tricksters. As you are pre-planning your trick-or-treat route, pre-program your interior lighting to realistically turn on and off in different rooms and at different times so your house won't look vacant while you are away. If you don't have time, you can use your smart phone to control the lighting while you are out. Use your smart phone to ensure your security system is armed while you are trick or treating with your children – or at your neighborhood Halloweenparty with friends. You can also use your smart phone to arm your security system if you forgot to do so. “A professionally-monitored smart home security system can alert you and the appropriate authorities to unusual activity and potential threats. This is important every day of the year – but provides an added comfort level on holidays such as Halloween,” concludes Murphy.